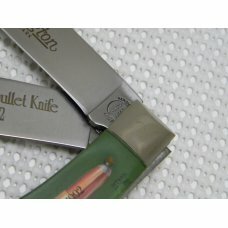 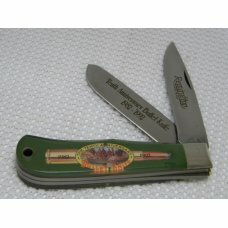 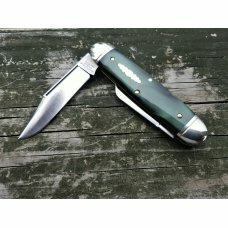 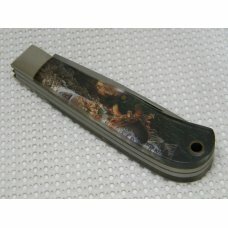 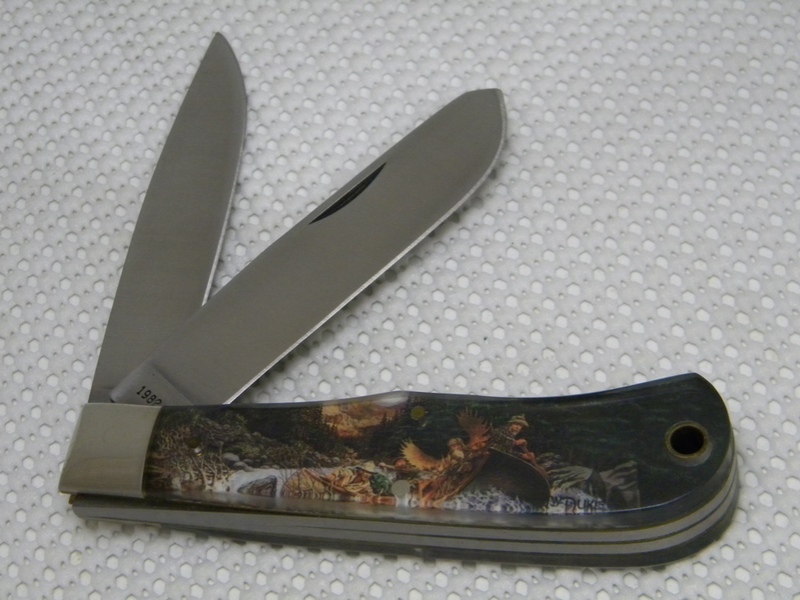 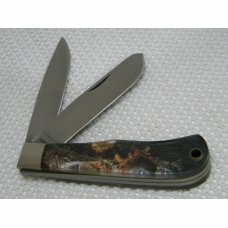 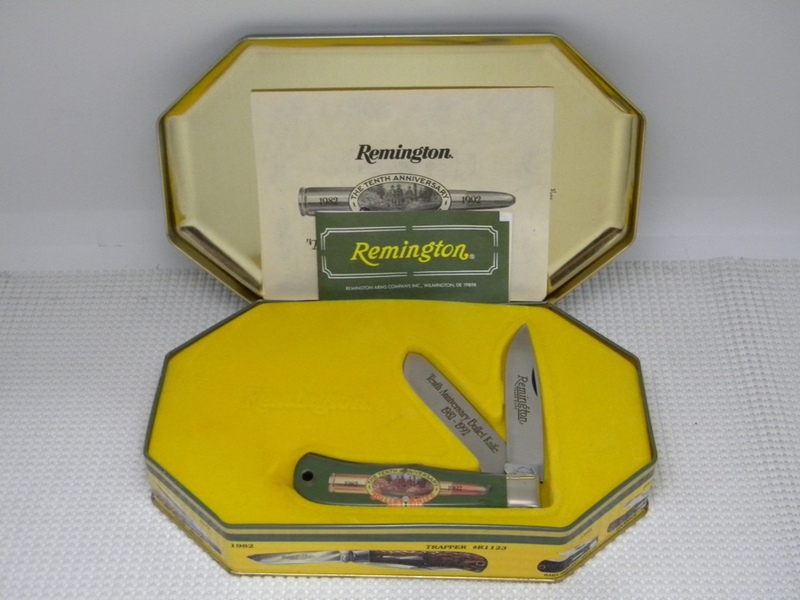 Remington 1992 R1123-A Bullet Trapper Tenth Anniversary Knife in Presentation Tin - 440 Stainless Steel Spey and Clip Blades - Lanyard Hole - Full Color Illustration by L.W. 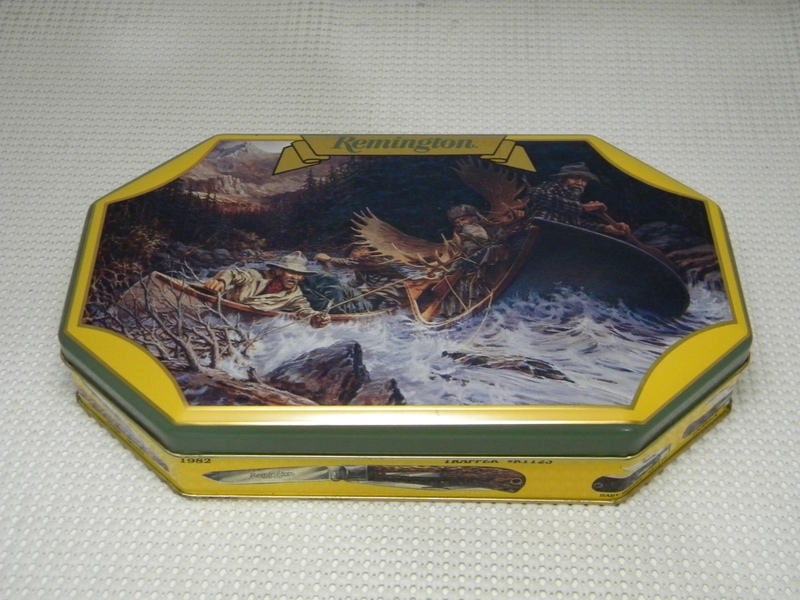 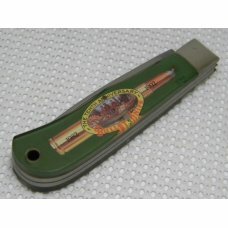 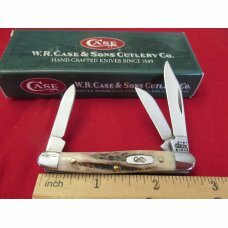 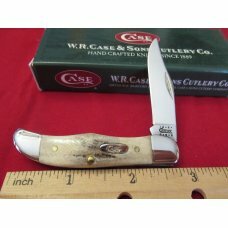 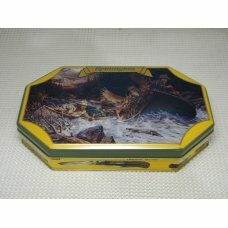 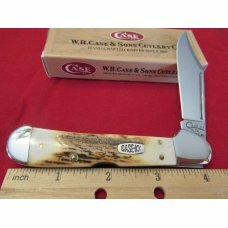 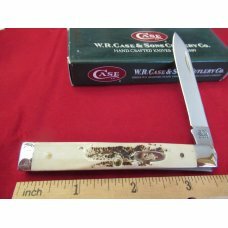 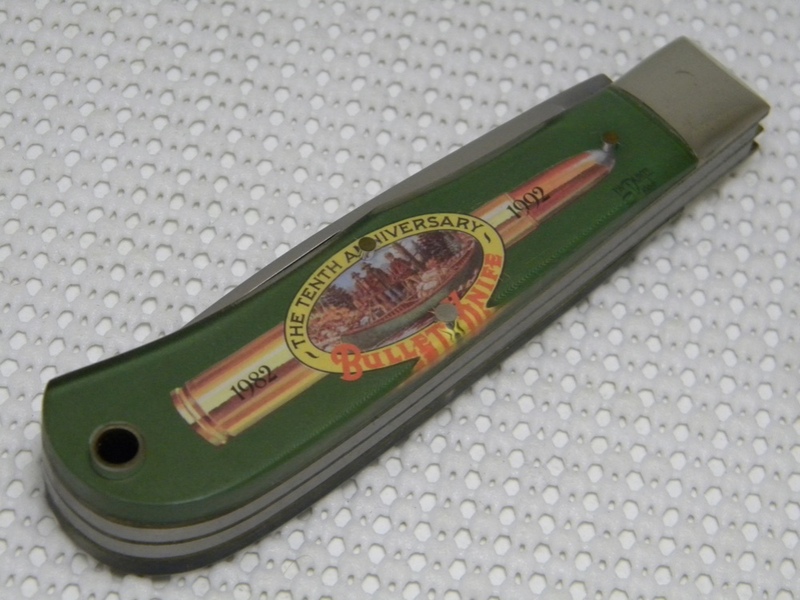 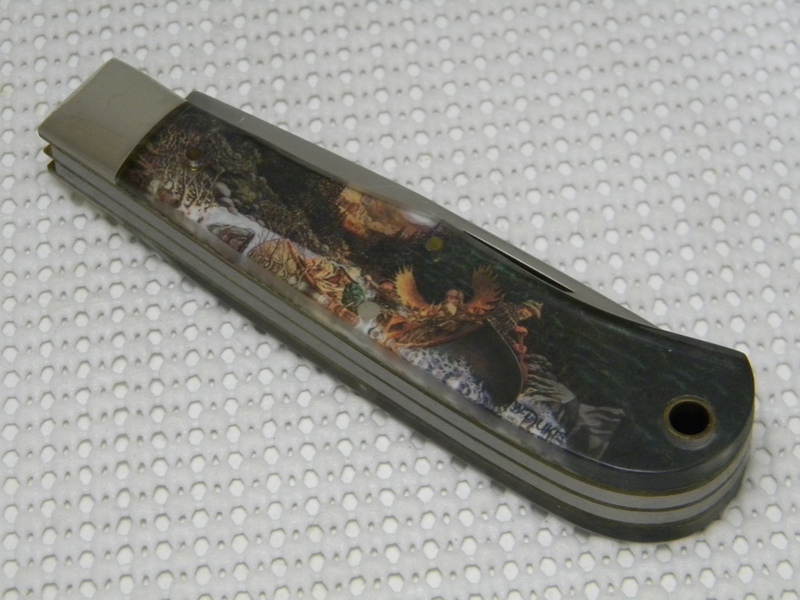 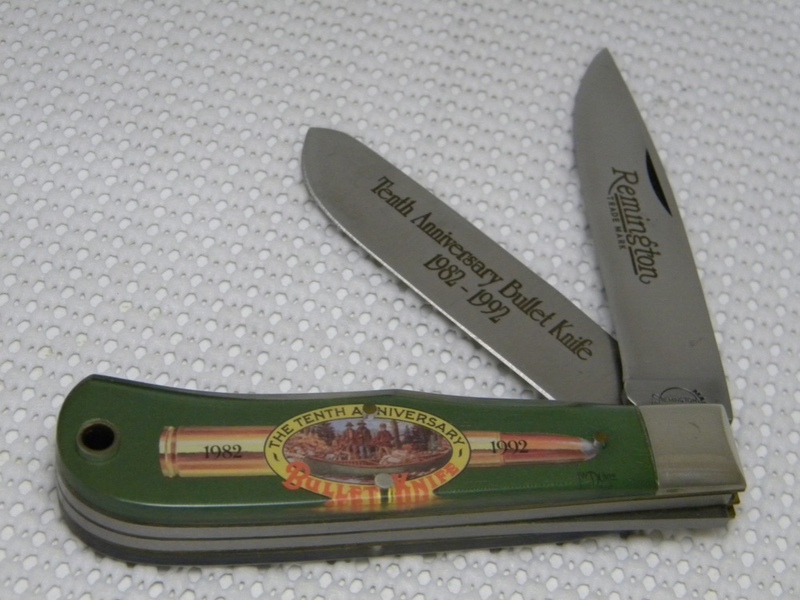 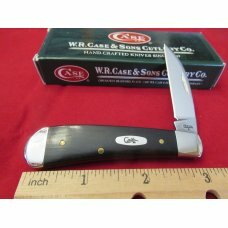 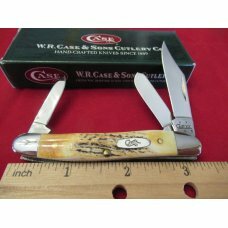 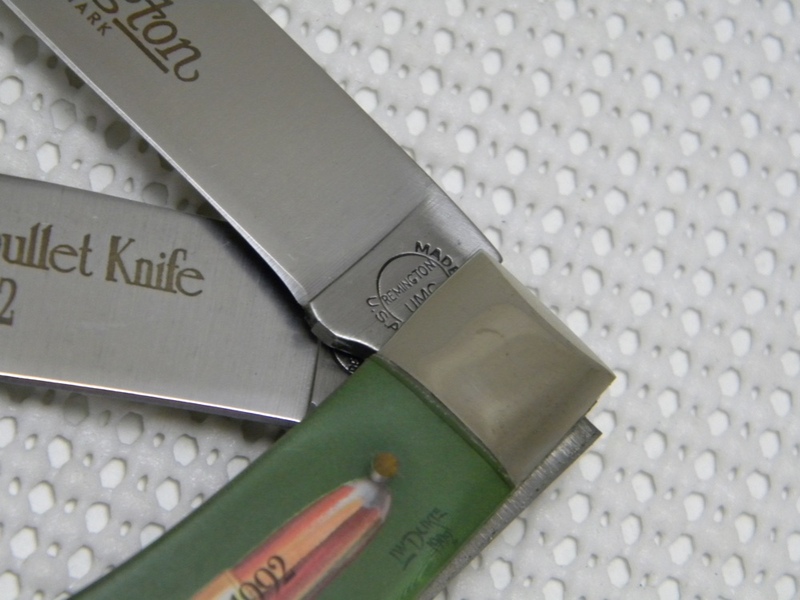 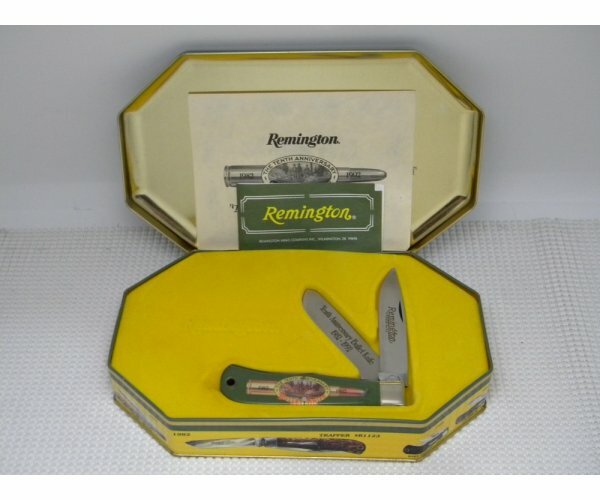 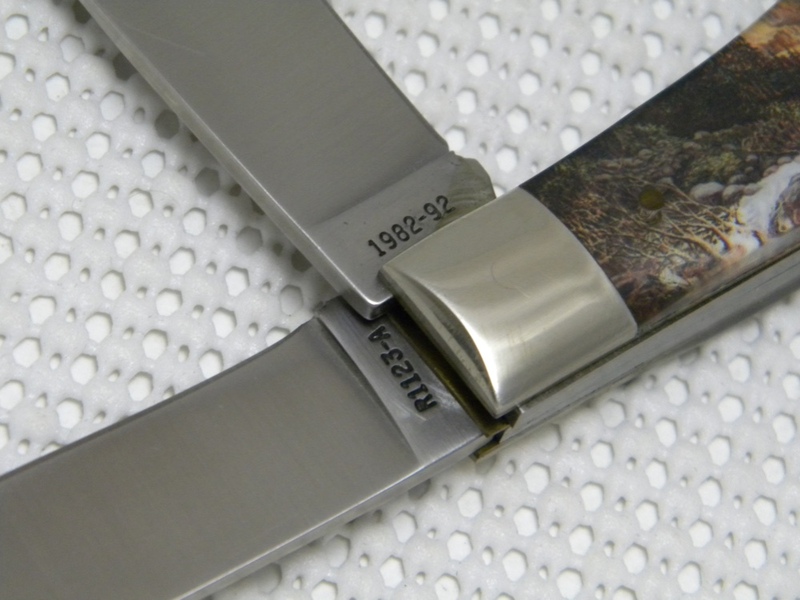 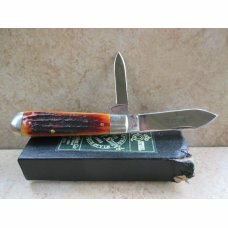 Duke, of the "Tenth Anniversary Log" is printed on the Handle, and encased in Shatterproof Acrylic - No Cracks - Nickel Silver Bolsters - Brass Liners - Snaps Open and Shut - No Wobble - Very Nice Unused Condition in the Original Remington Tin with Papers - 4 1/2 inches closed. 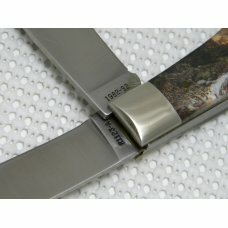 No chips or cracks in handles. 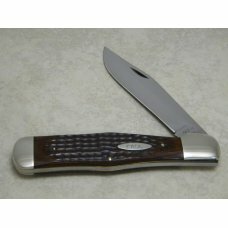 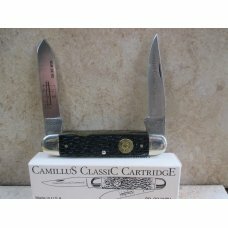 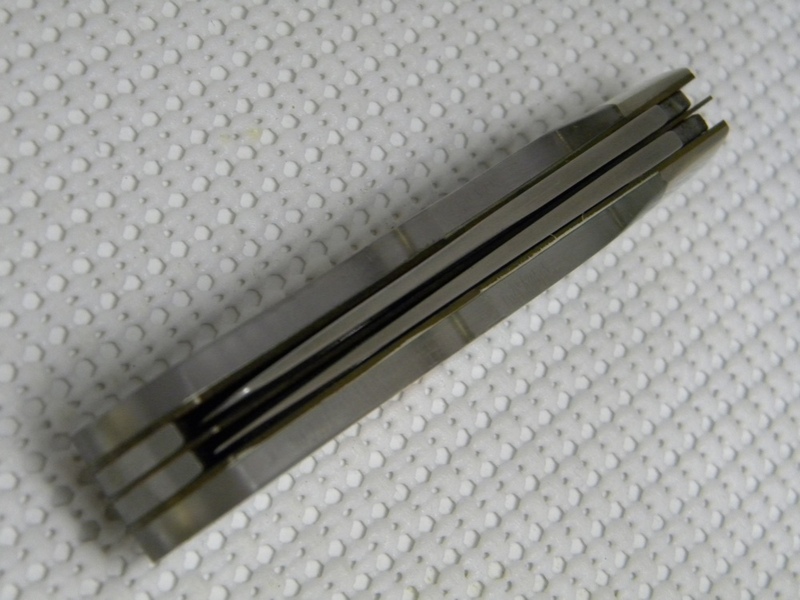 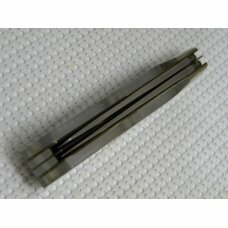 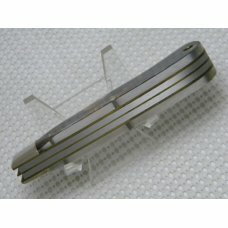 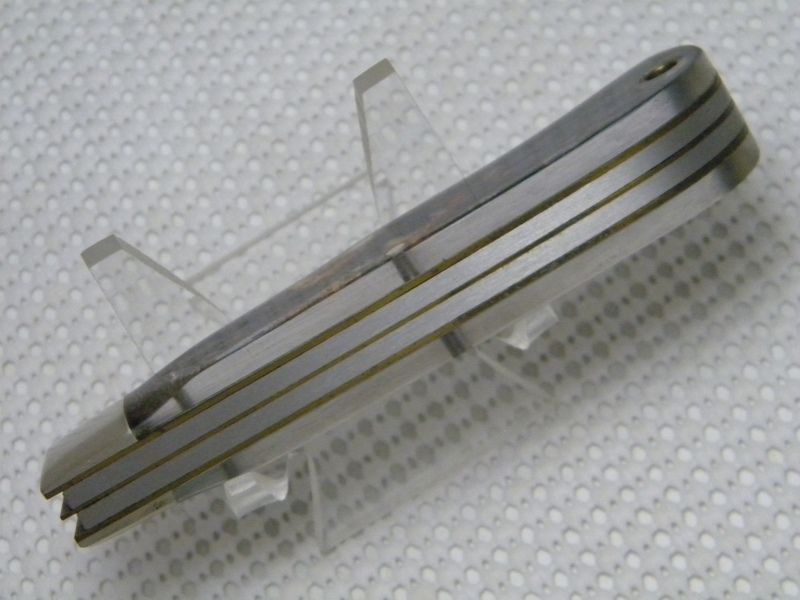 If this item is purchased with another item from Sanders Knives that has a shipping cost of $7.50 or more, standard shipping to US addresses for this item will be discounted to $1.00.